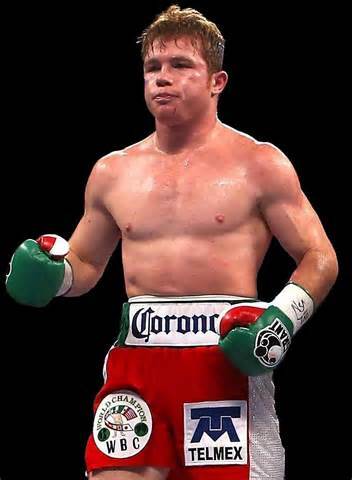 The guessing game of who middleweight champion Canelo Alvarez will face on May 7 is well underway, but according to Golden Boy Promotions vice president Eric Gomez, nothing has been decided other than the date -- not the opponent, not the site and not the contract weight. Gomez told ESPN.com on Tuesday that he and Golden Boy boss Oscar De La Hoya will meet with Alvarez and his team later this month to go over all the particulars for the HBO PPV fight. Gomez said there are a few places in the running to host the fight. He said Golden Boy has placed holds for the date in various arenas, including the new MGM Grand/AEG-owned 20,000-seat Las Vegas Arena, which opens just off the Strip in April. If Alvarez fights there in May, it would be the arena’s first boxing event. Gomez said they also have holds on the MGM Grand Garden Arena (where Alvarez has fought six times) in Las Vegas, the Alamodome (where he has fought once) in San Antonio and New York’s Madison Square Garden (where he has never fought). “We have holds all over and we will see where we can make the best deal for Canelo’s fight,” Gomez said. "But no site is locked in." Gomez said Golden Boy would also consider taking Alvarez’s fight to Mandalay Bay in Las Vegas, where he outpointed Miguel Cotto for the middleweight championship on Nov. 21 in a fight that rang up 900,000 buys on HBO PPV and a live gate of $12,470,200, the 13th-best in Nevada history, from 10,198 tickets sold, according to the Nevada State Athletic Commission. “They were very good to us at Mandalay Bay and we’d love to do another Canelo fight there,” Gomez said. Mandalay Bay and the MGM Grand are part of the same company. A May 7 fight at Madison Square Garden would appear unlikely, however, if unified middleweight titlist Gennady Golovkin (34-0, 31 KOs) fights there on April 23, which is likely. It would be highly unusual for Madison Square Garden to host two major fights in such a short period. Whomever Alvarez (46-1-1, 32 KOs) fights on May 7 -- Cinco de Mayo weekend -- a win combined with a Golovkin victory on April 23 is supposed to set the stage for their mandatory September unification fight.